Home Central Administration IIS PowerShell SharePoint 2013 SharePoint 2016 How to Redirect in SharePoint using Alternate Access Mapping (AAM)? 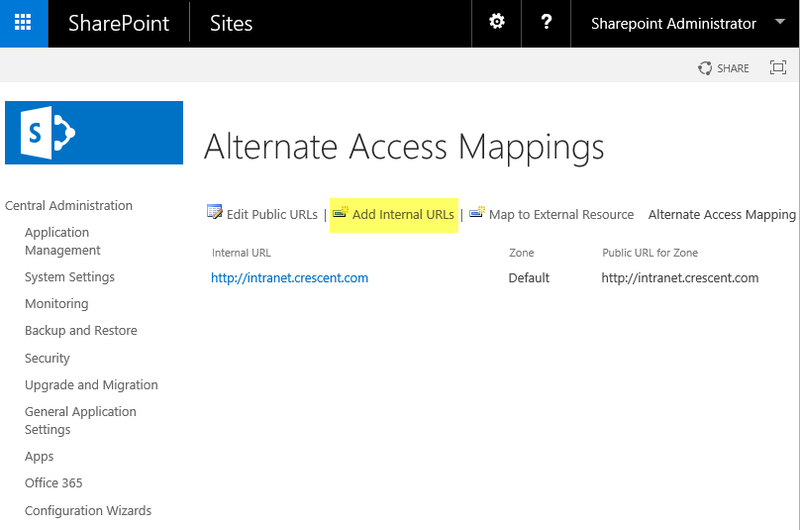 How to Redirect in SharePoint using Alternate Access Mapping (AAM)? 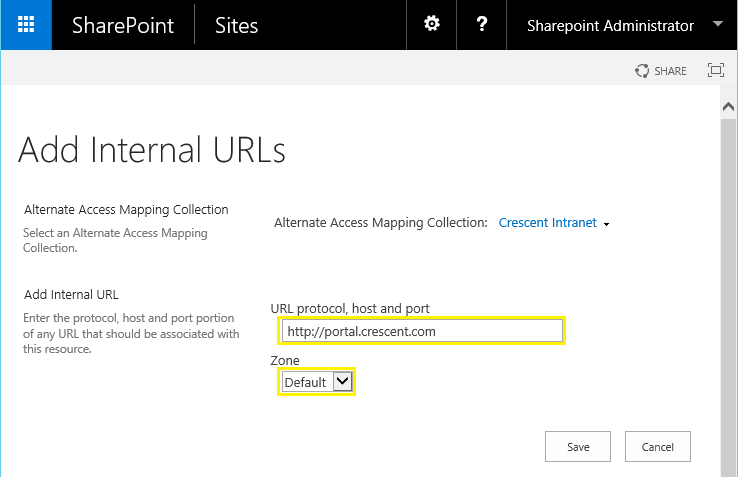 Internal URL in SharePoint Alternate Access Mapping is used to redirect from one URL to another. Say for E.g. 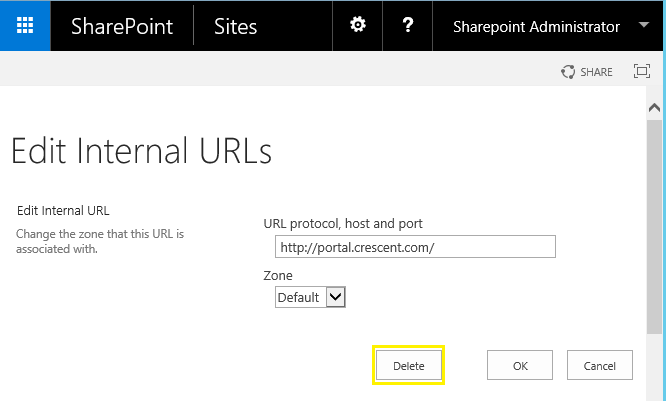 If you want to redirect or transform from "http://portal.crescent.com" into "http://intranet.crescent.com" use this feature! So, you enter "http://portal.crescent.com" in the address bar of your browser, and it takes you to "http://intranet.crescent.com"! How to Add URL Redirection using Alternate Access Mapping? Here is how to achieve web application redirect using AAM. Enter the desired URL and select the zone from the list, and hit save to commit your changes. In my case, I wanted to redirect from "http://portal.crescent.com" to "http://intranet.crescent.com"
To add an internal alternate access mapping entry, use this PowerShell script. 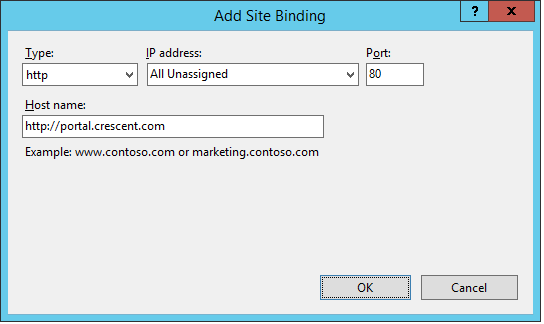 Once the SharePoint side entry is added, the next step is to add the binding in IIS. Go to IIS, locate your web application >> Edit Bindings >> Add the URL to the binding. Now, open a new browser instance (or open a browser in private mode to avoid caching), Check the URL redirection in place! This redirect not just works for top level URL, but it works for all internal links as well. This method of redirect can be used in SharePoint to redirect from HTTP to HTTPS. How to remove the Redirect? From the "Alternate Access Mappings" page, Just click on the redirect URL you had created, and in the Edit Internal URLs page, hit "Delete" button to remove redirection placed for the web application. Beware of the browser caching: You may not get the changes immediately even you made some modification as above. Try opening a new private browser and check!